128 South is one of the most beautiful venue in downtown Wilmington, NC. It has a historic, classic, and beautiful scenario. When you book your 128 South Wedding, you will have both indoor and outdoor flexibility! If you are looking for wedding venue in Wilmington NC, especially a place to have indoor wedding reception, 128 South is the place to be. 128 South offers the historic brick walls that you will fall in love instantly, an outdoor area for you to enjoy the sunset right by the water, and the ocean scent. It is the most popular venue for an indoor reception. 128 South is right downtown, it puts you right in the middle, so you can explore around downtown Wilmington, as well as in walking distance to few different hotels. 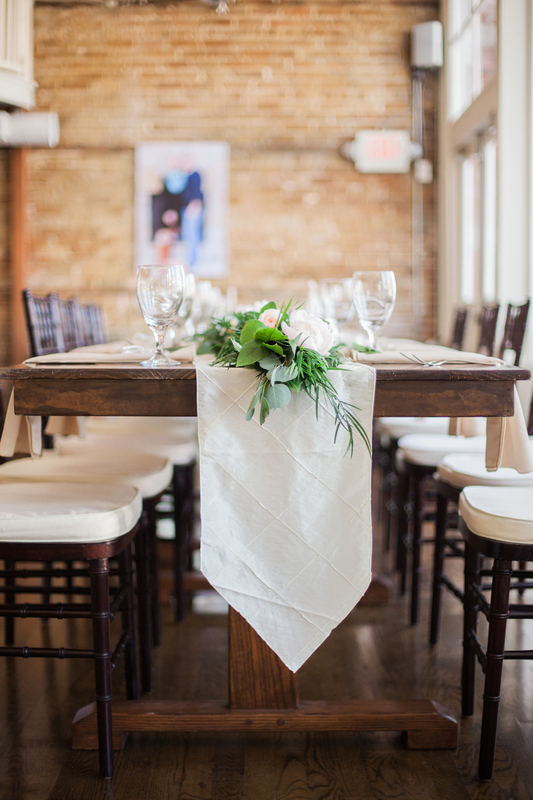 You can also have your ceremony at a different venue, and a reception at 128 South. One of the most popular options would be to have an outdoor ceremony at the Atrium, which is only a 5-minute walking distance, and an indoor reception at 128 South where you and your guests can enjoy the indoor while still have the benefit of the amazing sunlight that comes in. And enjoy your outdoor ceremony with all the beautiful scenarios, and indoor for a sit down meal. Even if you have your reception at another venue, 128 South truly is a perfect place for a beautiful indoor ceremony. If you are looking for a wedding venue in Wilmington NC, 128 South is the perfect place for an outdoor ceremony, indoor reception, it's especially perfect for the Summer when it's hot out, but also perfect for the winter when it's too cold outside. "128 South is so close to everything, and all of our guests were so happy about that. Especially we are all from out of town. Wynona did an amazing job on our pictures, even with all the walking back and forth to three different venues. 128 South is also an intimate venue, but Wynona were about to capture everything perfectly, and it doesn't look small at all. We love the way Wynona capture our pretty little things in a fine art format where everything look even prettier. If you are looking for a wedding photographer in Wilmington, you should have Wynona be your wedding photographer. She traveled to us for our engagement pictures as well. And we will recommend Wynona to anyone here as well."